A B.C. Supreme Court judge has struck down laws that permit prolonged and indefinite solitary confinement in federal prisons, a landmark legal decision that calls for a profound retrofit of correctional facilities and the culture that prevails within their gates. Justice Peter Leask ruled that the laws administering solitary confinement violate Section 7 of the Charter of Rights and Freedoms guaranteeing life, liberty and security because they allow prolonged, indefinite solitary confinement, eschew independent oversight of segregation decisions and prevent inmates from having a lawyer represent them at segregation hearings. He also found that sections of the Corrections and Conditional Release Act discriminate against Indigenous inmates and the mentally ill – a violation of Charter Section 15, which enshrines equality rights. Justice Leask found the practice harmful to all who endure it, writing that administrative segregation "is a form of solitary confinement that places all Canadian inmates subject to it at significant risk of serious psychological harm, including mental pain and suffering, and increased incidence of self-harm and suicide." 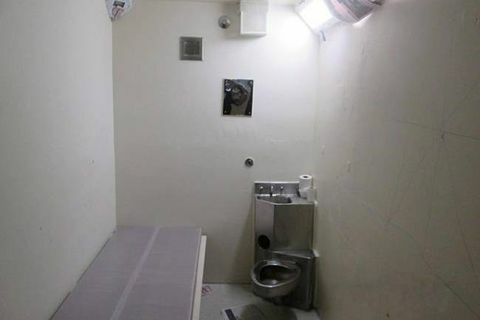 At issue was the Correctional Service Canada (CSC) procedure known as administrative segregation, a practice roughly analogous to solitary confinement that authorizes the placement of inmates in sometimes squalid cells the size of hotel elevators for up to 23 hours a day without meaningful human contact. During a trial that stretched through the summer of 2017, the court heard extensive and often emotional testimony from former prisoners, researchers and correctional officials who talked about the health effects of administrative segregation. The British Columbia Civil Liberties Association (BCCLA) and the John Howard Society launched their lawsuit targeting solitary confinement three years ago – a few weeks after The Globe and Mail published an investigation into the death of Eddie Snowshoe, who died by suicide following 162 days in solitary confinement. On Wednesday, the rights groups hailed the decision as a major victory for all who abhor torture. "On principle, it does matter how we treat the most vulnerable members of our society," said Jay Aubrey, counsel for the BCCLA, in an interview on Wednesday. "As Canadians, we hold ourselves to a certain standard. We don't torture people." The B.C. decision calls for far broader legislative changes than a ruling out of Ontario Superior Court last month. The Ontario judge found that the CSC practice of administrative segregation can cause deep and lasting harm for inmates, but ultimately decided that the only necessary legislative fix was the adoption of independent oversight in segregation decisions. He gave Parliament one year to pass such a measure. In B.C., Justice Leask also found fault with the oversight of segregation decision in prisons, but on top of that, he wants hard limits placed on the amount of time an inmate can be placed in administrative segregation and laws that more adequately respond to the unique needs of Indigenous prisoners and those with mental-health issues. For decades, prisoner-rights advocates have called for hard time limits on segregation placements. During the trial, court heard that emerging international consensus has settled on 15 days as an ideal cap. In his ruling, Justice Leask did not prescribe a set number of days but called 15 days "a defensible standard." The trial focused on the current solitary-confinement regime, not a new bill introduced by the federal government in June. Public Safety Minister Ralph Goodale, who oversees Correctional Service Canada, acknowledged the court decisions in B.C. and Ontario but added that Bill C-56, along with a number of policy changes, will impose soft time limits and usher in a new internal review process. "While these matters remain before the court," he said in a statement, "we are reviewing all recent court judgments; we will identify any further and better ideas that need to be incorporated in our reform package. But we have been pro-active from the beginning and our work is already well-advanced." The federal corrections ombudsman, Ivan Zinger, said the B.C. court decision remains significant despite the changes Mr. Goodale mentions. "I do believe it is a historic ruling," Dr. Zinger said. "It puts an onus on creating alternatives to segregation. This is what the Service has failed to do for two decades." Throughout the proceeding, the federal government argued that administrative segregation is an appropriate and necessary tool to be used only when there is no reasonable alternative to protect the safety of a person or institution. On Wednesday, Jason Godin, president of the national union representing federal correctional officers, reaffirmed that position. "Administrative segregation in our opinion has probably saved more lives than I could possibly count," he said. "It's an extremely valuable tool to manage the most difficult populations. We use it as a way to protect inmates and staff." Mr. Godin said that recent changes to segregation policy have had the desired effect of curtailing institutional reliance on the practice – the average daily count of inmates in isolation has plummeted from around 800 three years ago to 250 today – but said there has been a correlative increase in prison violence. "I can tell you that assaults on officers are way up," he said. Ms. Aubrey, the BCCLA lawyer, said that the decision doesn't stamp out administrative segregation altogether. "The judge wasn't saying there could never be solitary confinement used. It was about how that is being used, when it's indefinite solitary confinement, when there is no external review, and about the conditions of solitary confinement." Solitary confinement may continue, but with new oversight and "checks and balances" on that power, and proper representation for prisoners. "That sort of thing makes a big difference in terms of fairness," she said. The Globe has reported extensively on the prevalence and effects of solitary confinement, beginning with a 2014 investigation into the suicide of Mr. Snowshoe, whose demise was cited several times in the Leask ruling. Mr. Snowshoe's mother, Effie Bella Snowshoe, said the news of the decision brought her to tears. "It's good news, yet so sad," she told The Globe from Inuvik, NWT. "I still cry for my boy."